Bringing the Office Suite applications to the mobile platform in order to increase portability, Microsoft has launched the mobile Office app for the iPhone. 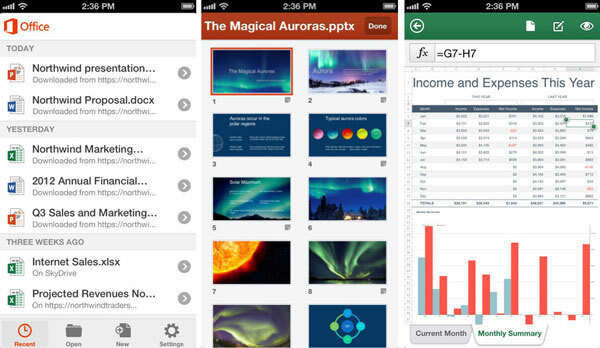 The Microsoft Office Mobile app for the iPhone is targeted towards Office 365 subscribers. The users can access, view and edit Microsoft Word, Microsoft Excel and Microsoft PowerPoint documents from the device itself. The changes and other edits are saved directly to the cloud when connected by internet. The Microsoft Office Mobile can be used to access office documents which are stored on SkyDrive, SkyDrive Pro, or SharePoint. It provides access to the documents when offline, but changes if any can be saved only when online. It can also access office documents which are attached in the email. To download the Microsoft Office Mobile visit the Apple App Store. While the app is free, an Office 365 subscription is required to use this app. The app is currently released in the U.S. only and is expected in the other parts by next week.